So, your child has reached the right age, and you’re excited to potty train him. What’s next? You have two options: a potty training chair or a potty training seat. Yes, there’s a difference between the two. We’ll talk about those, but the main goal of this post is to help you find the best potty training seat. Let’s start! First on our list is the Baby Bjorn Toilet Trainer . We know Baby Bjorn to be a maker of first-rate baby products, so you can expect their potty training seat to be of top quality. Comfort is the number one thing this particular training seat offers. It’s lightweight and easy to use so that your child can climb on and off it without assistance. It features an adjustable dial that lets you fit it on almost all types of toilets. All you need to do is adjust it once and it will rest on the toilet safely and securely every time. The seat also comes with an inward-facing splashguard that helps prevent spills. Finally, it has a built-in handle that allows for quick and easy removing and replacing. It fits perfectly on most toilets, leaving no gaps on the front or the back. The seat is very comfortable that your child can sit on it for long periods with no problems. The opening is large enough to get business done but small enough to make sure your child doesn’t feel like he’s going to fall inside. It’s a bit pricier than its counterparts, which is entirely understandable, though, due to its excellent performance. Next on our list is the 4-in-1 Toilet Trainer by Primo . It’s a stand-alone potty, a step stool, a potty seat, and a travel potty in one. If you’re looking for a potty trainer that grows with your child, this graduated 4-stage toilet training system may be an excellent choice for you. It features a unique molded design that won’t easily rip or tear, and is very easy to clean. 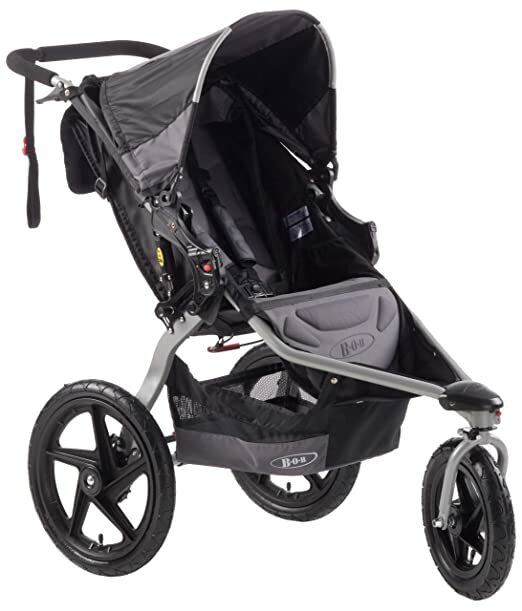 It also comes with a broad base plus integrated handles to provide extra stability and security for your child. When your child’s not clearing the decks, he can use the base as a step stool whenever he wants to reach the sink to wash his hands. 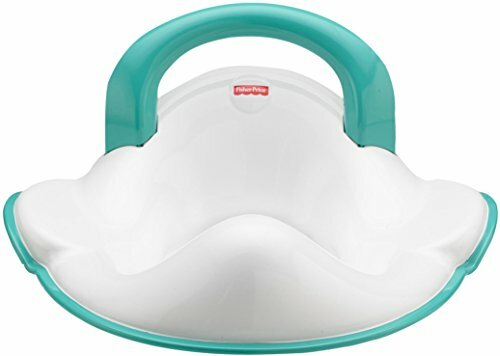 It’s rare to find potty trainers with a comfortable seat, but this is definitely one of them. The removable seat is easy to carry and will fit in a tote bag. The seat fits snugly and will give your child that feeling of security when doing his thing. Not a great option if you’ll mostly just use the seat. Comfort is what the Fisher-Price Perfect Fit Potty Ring offers best, so if you’re after your child’s coziness, this might work well for you. It’s a well-made potty seat that features a handle that you can push down to clip it onto any toilet seat. The handle itself makes an excellent backrest, too. At the sides of the seat are integrated handles that your child can grab onto to feel stable and secure. If you have a boy, the splash guard and easy-to-clean design will make things a little less messy for you. Finally, the seat comes with a hook so you can simply hang it on the side of the toilet when not in use. The design makes the seat very comfortable and perfect for long periods of potty training. The splash guard does an excellent job preventing spill outs. The hook helps a great deal in storage. It fits okay on elongated toilets, but it leaves a little bit of gap. 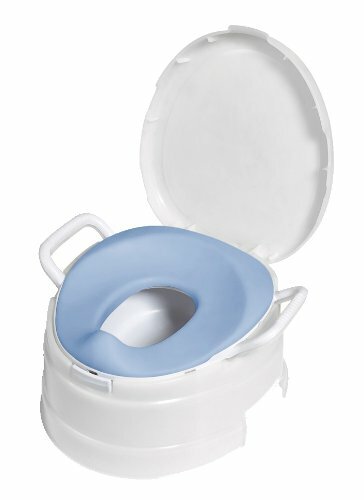 The Cozy Greens Potty Seat offers simplicity and efficiency like no other. It’s very sturdy and is designed for both oval and round toilets. It features a ComfySeat™ that has a luxurious feel into it, making sure your child remains comfortable and cozy during his entire trip to the toilet. 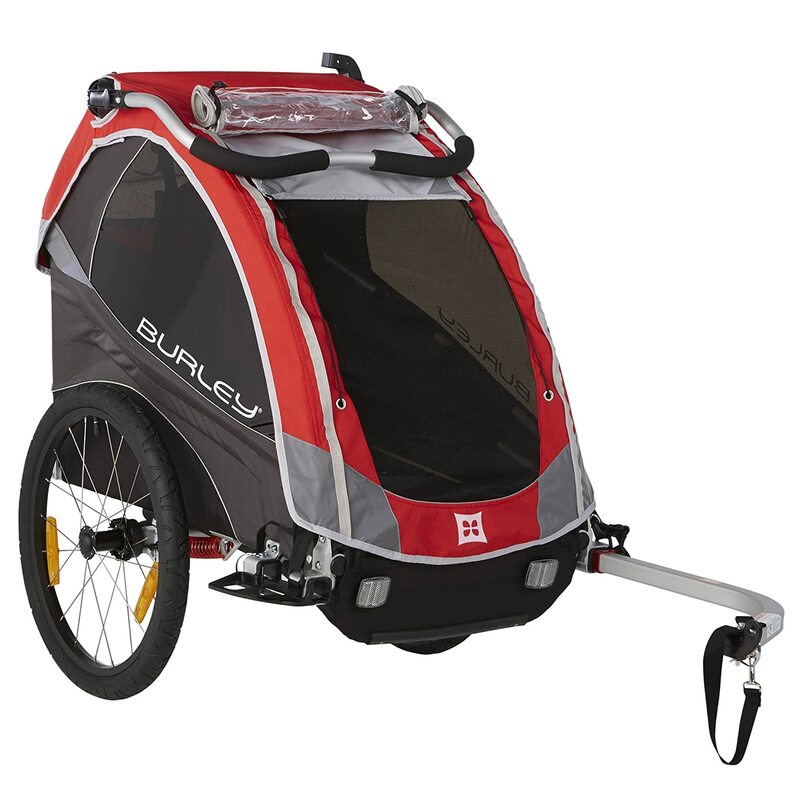 It also features a GrippySafe Anti-Slip Ring™ that adds stability by eliminating wiggling and slipping. With the seat’s integrated splash guard, cleaning won’t be a problem for moms and dads. For storage, the seat comes with a hook and suction cup. Its anti-slip feature will make your child feel safe and secure. The seat comes with a lifetime warranty; the company will refund your money and give you a brand new one for free if something goes wrong. The seat has a stylish design and doesn’t take valuable space, thanks to its hook screw and suction cup. The splash guard doesn’t seem to be high enough. For families who love to travel, the OXO Tot 2-in-1 Go Potty Seat may be the best choice. 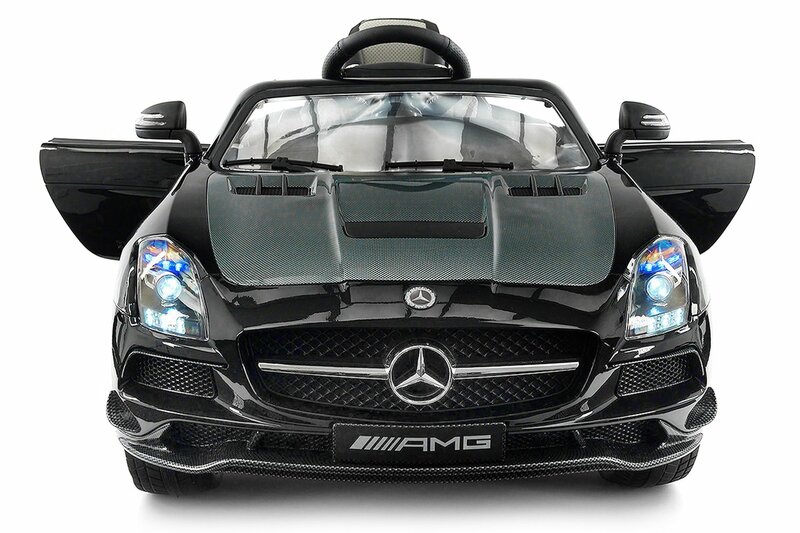 It’s designed specifically to make road trips fun and help parents remain prepared for on-the-go toilet emergencies. The seat features foldable legs that quickly and easily snap into place so your child can sit down and do his thing anywhere. Of course, the seat comes ready with disposable bags with absorbent pads for collection. When your child is done, you can simply fold the legs back to place and slide the seat inside the included travel bag. And when you’re at home or using a public toilet, the non-slip grips help keep the seat stable. It transforms into a standalone potty with ease; it sits close to the ground and puts your child in a very comfortable position. The disposable bags are really helpful when you’re on the road. The size and weight of this seat are perfect; it’s comfortable enough for baby to sit on, and it’s small and light enough to carry during trips. It doesn’t come with adapters and may tend to tilt back and forth when used as a toilet seat. 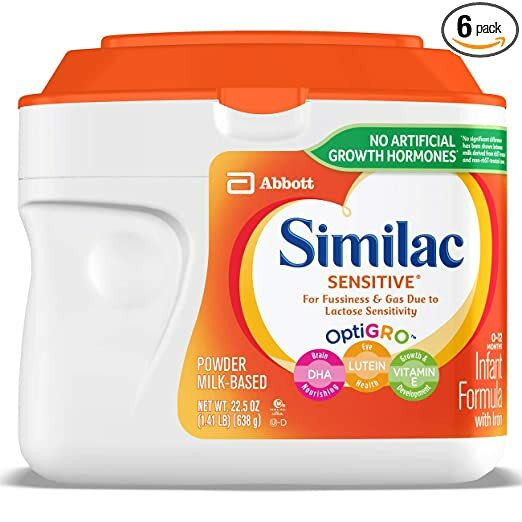 This is one of those times that I find it very difficult to choose a top pick since all of these potty seats are exceptional in performance and quality. However, if you’re looking for an all-around potty, we’d recommend the Primo 4-in-1, that is if you don’t mind cleaning the potty chair. On the other hand, we’d recommend the OXO Tot 2-in-1 if you’re the type of family that travels a lot. It’s very portable and is great for emergency trips to the toilet. If you’re simply looking for a potty training seat, though, which is what this post is actually all about, then we’d suggest that you opt for the Baby Bjorn Toilet Trainer. 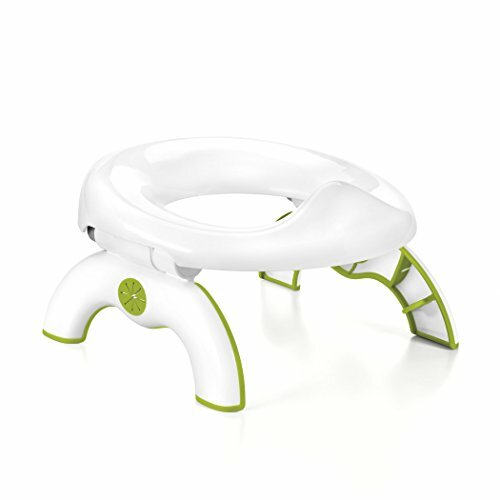 And having said that, our vote for the best potty training seat goes to Baby Bjorn. It has a straightforward design with built-in handles, it’s easy for kids to use, it holds in place perfectly, it features a splash guard, it cleans easily, and it’s easy to store when not in use. Yes, it’s a bit on the pricey side, but even with a product as simple as a potty seat, you surely get what you pay for. Although there is no official age for a child to start potty training, most parents would start training when their kids are between two and three years old. Children won’t be physically and emotionally ready until they are eighteen months old, so don’t be disappointed if your child seems to be a little delayed. This is especially true if you have boys since they tend to be ready a little later than girls. 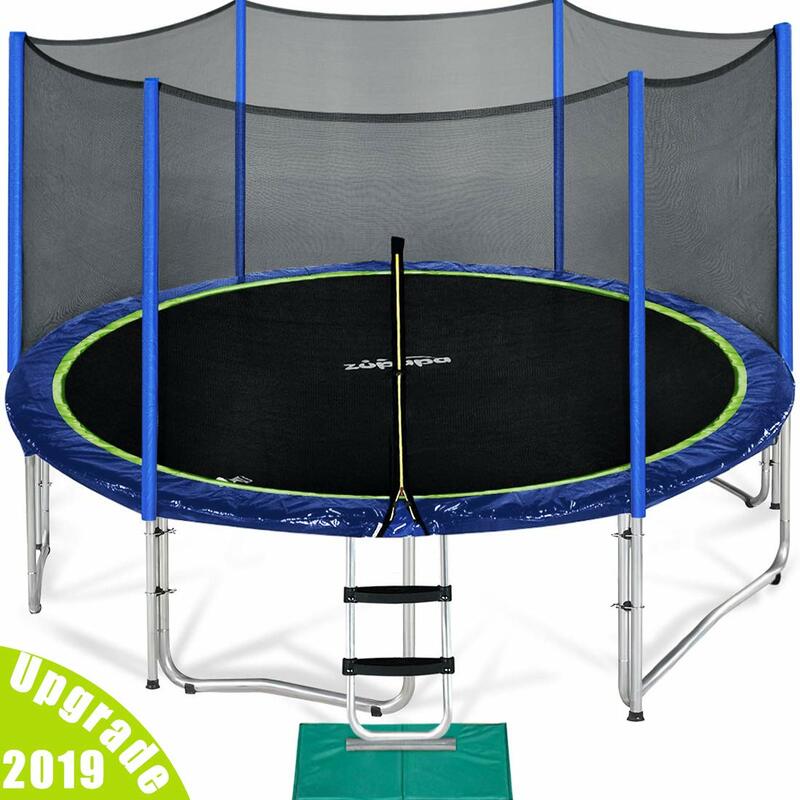 It’s portable and can be moved from one room to another, which is an advantage since your child can have it close to him and ready to use anytime. It’s small and is not as intimidating as an actual toilet. Since it’s small, it offers no risk for your child to fall down the toilet. It’s the best size for a child, giving him confidence and control. It’s made of plastic and may not be a good option if you’re worried about it not matching your home’s interior. Cleaning a potty chair can be quite messy and challenging since you’ll have to dump out your child’s business every time. Yes, it’s portable, but not small enough for you to conveniently carry it on the plane or train. It gives your child the opportunity to use the big toilet the way mom and dad do. It can be stored inside the toilet and doesn’t add to the clutter. It’s very portable and can easily fit on any toilet, as well as taken with you when you’re on a trip since it’s small enough to fit any luggage. It doesn’t require you to clean a separate bowl since your child’s pee and poop simply go straight to the big toilet. You’ll have to remove it every time so that bigger children or adults can use the toilet. Some potty seats wiggle, which can make the experience intimidating. If the perch is too high, it can also be scary for other kids. Without a step stool to push against, a potty seat can be a challenge for some kids to use. Some potty seats come with a dial that lets you adjust the seat so that it would snugly sit on the toilet. Look for a model with this feature because if the seat is shaky and wiggles because it’s not securely fit, it’s going to affect your child’s confidence. If you are not able to find a potty seat with a dial, at least look for one that comes with a rubbery underside. This will not prevent the shaking and wiggling, but it will help limit slipping when your child is sitting on it. Pick a seat that comes with handles on both sides. This will give your child stability when climbing on and off the seat. Your child will need something to push against when he’s doing his business. Look for a seat that also comes with a footrest. Even potty seats can be messy at times. You can minimize this by looking for a seat with a removable splash guard. What about you, guys? Which do you think should get the number vote? Don’t hesitate to share your thoughts in the comments section below. And most importantly, please don’t forget to share this post if you found it helpful. Thank you!